It’s not too late to get your house decked out for Halloween. 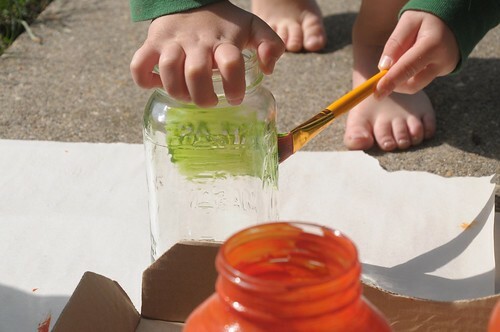 Here are a few really easy projects to get you and your family in a festive and freaky mood. Take an ordinary glass jar (from pasta sauce, pickles, jam, etc.) and cover with a thin coat of acrylic paint. Don’t paint too thick or the luminaries won’t glow very well. 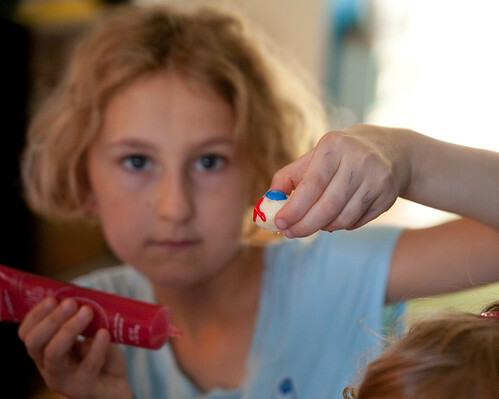 Use a permanent marker, construction paper, or black paint to create a scary face. 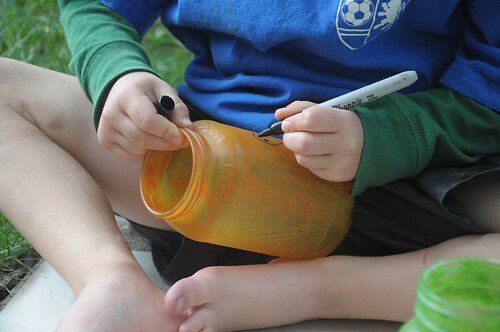 Optional: Cover with a coat of Mod Podge for a smooth shine. 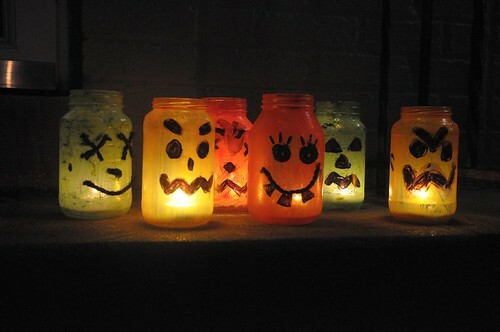 Wait until dark, drop in a tea light, and let them glow! Make white chocolate truffles using your favorite recipe. 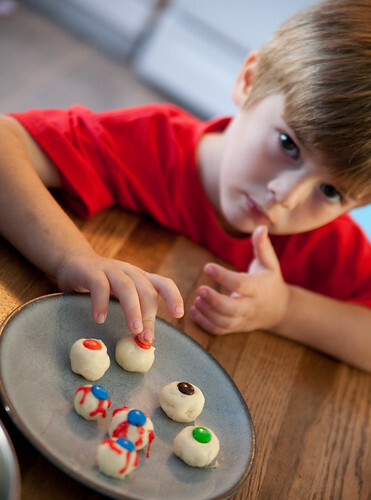 Roll into balls, use red cake decorating icing to draw veins, and top with an M&M for the iris. 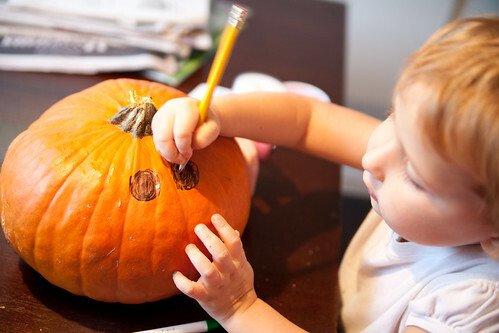 Draw a face on the pumpkin using a pencil and permanent marker. 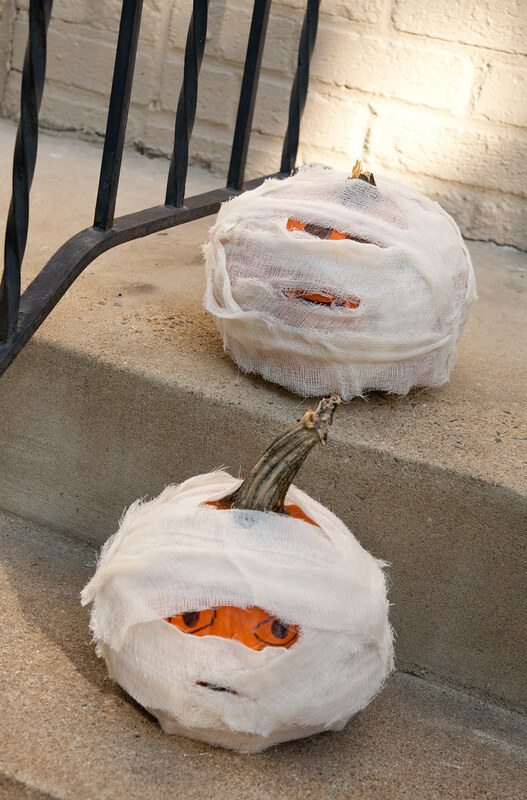 Wrap the pumpkin with gauze or cheese cloth and glue down (best to use a glue gun). An added benefit — no more squirrels snacking on your pumpkins before Halloween! Use thumb tacks to create letters or shapes. 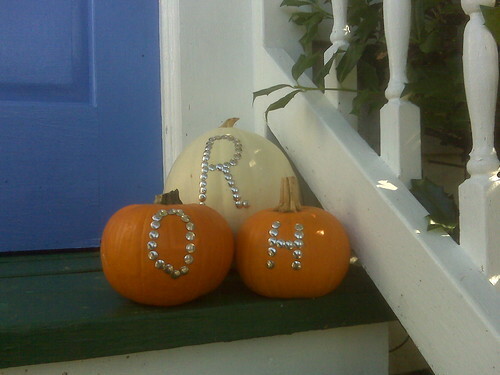 Another option — drill holes in the pumpkin so the candle light will shine through. Make a bunch of ghosts using tissues twisted around cotton balls. 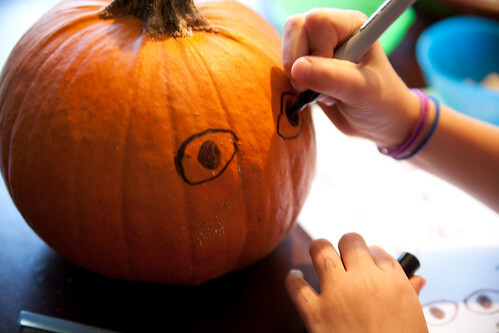 Draw eyes and mouth with a marker and attach to a wreath frame with tape, or better yet, a glue gun. What Halloween decorations are you still working on?